Tom Bell was born in Parkhead, Glasgow, in 1882. After leaving school at the age of 15 he started an apprenticeship as an iron moulder in Glasgow's Springfield steelworks. He continued his education by attending evening-classes at Andersonian College where he studied English Literature, French, Geology and Astronomy. After reading Charles Darwin and Thomas Huxley he became a committed atheist. He also lectured for the left-wing Plebs' League. In 1900 Bell joined the Independent Labour Party. He became a committed Marxist and so three years later he moved to the more radical Social Democratic Federation, an organization led by H.L. Hyndman. Bell also lectured for the SDF at factories and shipyards. In 1904 Bell joined the Associated Ironmoulders of Scotland, in 1904. Bell eventually became one of the leaders of the Socialist Labour Party (SLP), an organization that had been inspired by the writings of Daniel De Leon, the man who helped establish the International Workers of the World (IWW). Other leaders of the SLP included John S. Clarke, Willie Paul, James Connally, John MacLean and Arthur McManus. Bell married Lizzie Aitken, a fellow member of the SLP on 4th February 1910. The following year he became involved in the Clydesbank Singer sewing machine factory dispute, in which 10,000 workers went out on strike in protest at the company's decision to cut the pay of the workforce. Singers broke the strike in three weeks. Arthur McManus and Willie Paul were considered to be ring-leaders of the strike and along with 500 other workers they lost their jobs at the company. Tom Bell was opposed to Britain's involvement in the First World War and took part in the campaign against conscription. During this period Bell was working in London and Liverpool. 1919 Bell was elected president of the Scottish Ironmoulders Union. He also become national secretary of the Socialist Labour Party and editor and director of the organization's newspaper, The Socialist. Bell played a leading role in the Clydeside agitation for a forty-hour week. On 31st January 1919 Bell organized a demonstration march to George Square. There was a police baton charge and the leaders of the march were arrested. 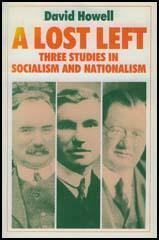 Bell had been impressed with the achievements of the Bolsheviks following the Russian Revolution and in April 1920 he joined forces with Willie Gallacher, Arthur McManus, Harry Pollitt, Helen Crawfurd and Willie Paul to establish the Communist Party of Great Britain (CPGB). McManus was elected as the party's first chairman and Bell and Pollitt became the party's first full-time workers. In 1922, Tom Bell and Arthur McManus, attended a special conference of the Executive Committee of the Communist International (Comintern), at which it was decided to reorganise the party. It was then decided that Bell should stay in Russia for several months as a foreign reporter and representative of the CPGB. Bell was executive member of the Communist Party of Great Britain. Bell was also on the Political Bureau and was responsible for the propaganda work of the party. He was also head of the Education Department and organised classes in Marxism. He was also appointed editor of the party's monthly paper, The Communist Review. As a result of this work he decided to move to London. 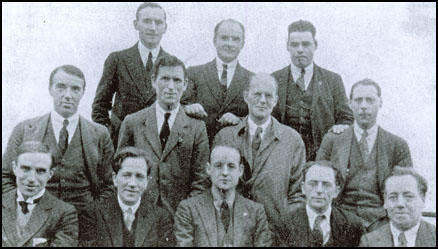 On 4th August 1925, Bell and 11 other activists, Jack Murphy, Wal Hannington, Ernie Cant, Tom Wintringham, Harry Pollitt, Albert Inkpin, Arthur McManus, William Rust, Robin Page Arnot, William Gallacher and John Campbell were arrested for being members of the Communist Party of Great Britain and charged with violation of the Mutiny Act of 1797. Bell was involved in the struggle against the growth of fascism in Europe. During the Spanish Civil War he played an active role in the National Council for Democratic Aid and the International Class War Prisoners Aid. Both these organisations were formed to give aid to interned anti-fascist prisoners during the conflict. 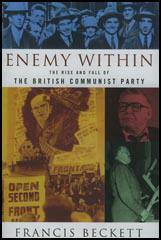 Bell was also the author of The History of the British Communist Party (1937). Tom Bell served at the headquarters of the Communist Party of Great Britain in London during the Second World War. Plagued by ill-health, he returned to Glasgow where he died on 19th April 1944. The increasing alarm in capitalist circles at the growing possibilities of a Labour Government is becoming more and more manifest. Not a day passes but press, politician and captains of industry make reference to this (for them) calamity that is creeping over present-day society. They predict the end of all things should the Labour Party come to power. And, as we think, for very good reasons. It is customary on the part of many who profess Marxism to laugh at such bourgeois fears. What possible reason, it is asked, is there for apprehension in capitalist circles? And in face of the incompetency, the muddling and even open treachery of a number of Labour Leaders, there is certainly much reason for doubting. It is true there is often little to distinguish between, say, a speech by Ramsay MacDonald and Baldwin, or Sidney Webb and Sir John Simon. And if social changes depended upon the speeches of our Labourists, the ruling class could very well go to sleep, secure in the possession of their gains and privileges. But the great social changes imminent are neither likely to consult nor consider the desires of bourgeois or Labourist. Social changes are inherent in the very grain of our modern industrial system. Their class character may not always be apparent. They may be arrested for a time; they cannot be turned back. Because of this we, who are working for the release of the forces making for social revolution, or for the removal of those obstacles which stand in the way of social change, cannot afford to under-estimate this alarm in the bourgeois camp. It would be a fatal mistake, for example, to attribute the speeches of Churchill or Lloyd George (who never fail to ring the alarm bell) to mere hysteria or demagogy. There is always a method in the madness of these apparent political harlequinades. On the other hand, encouragement in the belief that the Labour Party is either not fit to govern, or, if allowed to do so, would prove more bourgeois than the capitalists themselves, is to renounce the very fundamental basis of our working-class movement, namely, the struggle for power. Such an attitude is tantamount to supporting reaction. And we must frankly say it is a disease in some quarters of our Party. It finds its reflex especially in the doubts and fears as to the correctness of the tactic of the United Front, with special reference to the criticisms of the Labour Party. Then with regard to the point of the Labour Party and its obligations to the Labour movement. The Communist Party was the first to bring into the open and draw attention to the criminal decision on the part of the Labour Government as soon as they took office, to cut themselves adrift from the organised Labour Party and the general Trade Union Congress to which they owe their positions and to whom they ought to have been responsible; to disown the Labour movement and to declare quite openly that they held their office in trust for His Majesty, King George, and not for the organised Labour movement of this country. Comrades, the importance of this cannot be minimised. We know what Jimmie Thomas is; we know what Johnny Clynes is; we know what these erstwhile leaders of the Labour movement who are in office at the present time, but we must emphasise this fact, we will not lose an opportunity of drawing the attention of the workers to the fact that those people who have been put into office, whether for good or ill, to express the organised will of the Labour movement—that as soon as they get into some particular bourgeois office they have been prepared to kick the ladder from beneath their feet and go right over, to the camp of the bourgeoisie. We want to get the workers to understand that when their leaders are pushed forward to take office they do so on behalf of the organised workers as a whole, and that they should hold their positions in trust for the working class, and be prevented from separating themselves from the organised working class. Yon get, for example, MacDonald as soon as he is in office writing about the importance of the benchers, and all kinds of beautiful phrases of democracy and so forth, and all the time contained in this beautiful writing was inherent a repudiation of definite Party control over the leaders of the organisation, paving the way for the day when he would be able to stand up and say, “I hold my position in trust for His Majesty, King George,” and I am not responsible to the Labour Party or the General Trade Union Congress, although I am quite willing to consider sympathetically any proposal or resolution that the Labour Party has do put before me. We have also got to place on record the fact that as soon as the Labour Party in the 1922 election got its magnificent vote, we got then the first indication that the Labour Party leadership at all events was going to travel along the lines of the old Liberal Party. It issued its manifesto, and declared it had now to carry forward the great principles of radicalism. The result is that to-day we see the Labour Party being converted into a Liberal Party in order to justify its claims to carry forward the great traditions of radicalism. In the same way you get MacDonald at the Independent Labour Party Conference in the absurd position of going there as Prime Minister and simply talking to it in the same manner that Lloyd George talked to the Trade Union Congress when he bad occasion to use that Congress.